Three softwares – Elasticsearch, Logstash, and Kibana better known before as ELK Stack. Here is How to Install Elastic Stack on Ubuntu 16.04, CentOS 7 on Single Cloud Server Instance For Server Log Analysis, Big Data Processing. In this tutorial, we will show how to installa of the mentioned softwares on Ubuntu 16.04 and CentOS 7. Additionally we will show you to configure, visualize the syslogs. The server will run Nginx web server. Why Install Elastic Stack Instead of Apache Hadoop or Spark With Elastic Search? Previously we discussed how to install Apache Hadoop, how to install Apache Spark and how to install fluentd on single cloud server instance. This guide to install Elastic Stack is not on Apache Hadoop as not all users are used to handle real Big Data software. In separate guide we will show how to integrate Elasticsearch with Apache Hadoop. This kind of setups and examples are practical usage of the software collections. We are showing how to install Elastic Stack on Ubuntu and CentOS in this easy manner so that any level go users can install and use for basic log analysis purpose without going in to the fuss of Big Data softwares. Why Install Elastic Stack on Ubuntu 16.04, CentOS 7 Single Cloud Server? You can install Elastic Stack on same dedicated server where your web software or database software is/are running. But Cloud Server can be cheap like VPSDime 6GB OpenVZ instance costs only $7/month. Such resources are great for the small to medium business owners and webmasters. ES crash on OpenVZ not uncommon but a workaround, low load average does make it working. We are installing on a single cloud server instance for cost saving and isolation purpose. We suggest to use a server with 4GB of RAM for running Elastic Stack. 1GB RAM instance can run it somehow, 1GB RAM VMWare Cloud Server from Aruba Cloud will cost just 1 Euro per month. 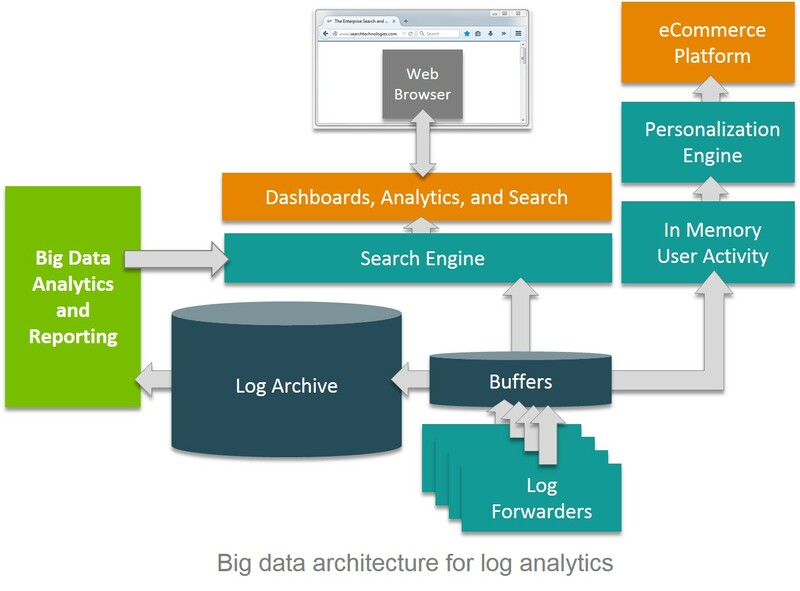 ElasticSearch stores incoming logs from Logstash and provides the ability to search in real time. Kibana provides the way of visualization of logs. There are other softwares as alternative but Kibana is commonly used. Beats/Filebeat/fluentd when installed on client, sends logs to Logstash. Nginx works as web server, reverse proxy. Make sure to allow traffic through TCP port 9200, port 5044, port 80, port 443 in your firewall. Install the Kibana using the following command. Uncomment the configuration lines for server.port, server.host and elasticsearch.url. Kibana will run on port 5601 as node application. Logstash configuration found at /etc/logstash/conf.d/. logstash configuration file consists of 3 parts – input, filter, and output. It is better to use a single file for these three. There are four beats clients available. Packetbeat – Analyzes network packet data, Filebeat gives insight into log data, Topbeat gives insights from infrastructure data, Metricbeat delivers metrics to Elasticsearch. Now go to the IP address where we can get Kibana. Installing Elastic Stack is difficult work. OpenShift PaaS marketplace is a matured step by Red Hat in the PaaS world. Users have seen so matured marketplace only from IaaS providers. Docker can be installed on Ubuntu Cloud Server to manage containers. Docker is a free software that automates the deployment of applications. How will Be the Future in Software Defined, Cloud and IoT? How we will access to the new Internet? What About Technology and medicine? Cite this article as: Abhishek Ghosh, "Install Elastic Stack on Ubuntu 16.04, CentOS 7 Single Cloud Server," in The Customize Windows, January 30, 2017, April 21, 2019, https://thecustomizewindows.com/2017/01/install-elastic-stack-on-ubuntu-16-04-centos-7-single-cloud-server/.